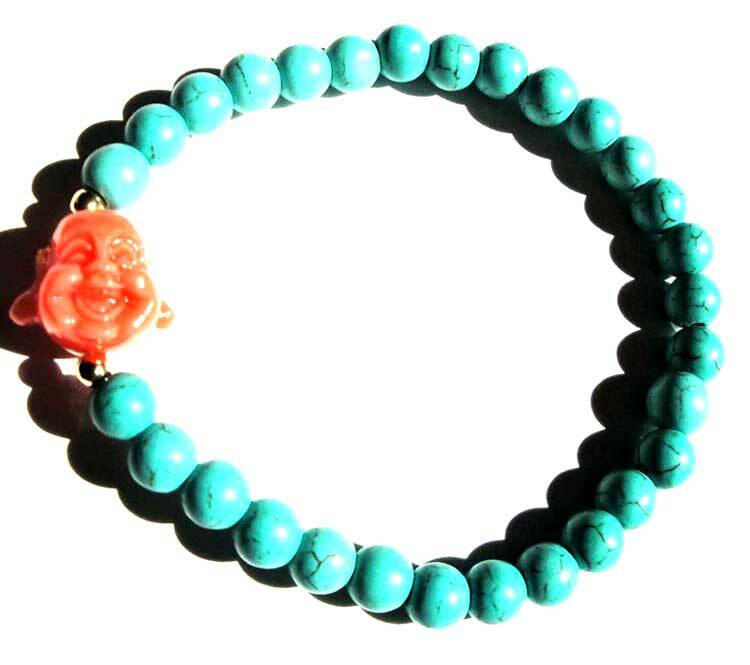 6mm turquoise bracelet accentuated by 18k gold filled beads and mini Buddha. Stretch bracelets to fit most wrists. Looks great alone or stacked.